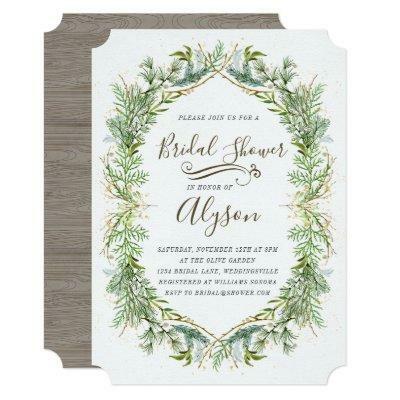 This beautiful, delicately hand painted Bridal Shower invitation is in woodland tones of greens and browns. Simple and elegant, the frame consists of pine boughs, bay leaves and forest greens that frame the text announcing your Bridal Shower party. This natural themed invitation is modern and lovely. Wood grain pattern on the back.